Mr Michael Tannenbaum, was appointed Company Secretary and Chief Financial Officer on 27 July 2006. 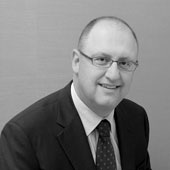 A Chartered Accountant, he joined the Westcity Property Group in 1990 from Capital & Counties. He moved to London in 1985 as Group Manager at Touche Ross & Co where he was responsible for audit, consultancy and investigatory work. Michael has fostered strong relationships with fund providers and the finance sector.